By the time of the Louisiana Purchase in 1803, New Orleans was already a music city, offering bals masqués, opera and ballet, military parades with brass bands, choral masses, and virtually nonstop street serenading—all of which coalesced to give birth to jazz. Most people think of New Orleans jazz as a single original jazz idiom, or musical style, when in fact it retains distinctive stylistic features tied to festival traditions within a discrete, regional culture. Even today, the musical practices rooted in neighborhood and family affiliations often influence musical styles and trends among traditional and modern jazz musicians more than national market trends. In the Antebellum period, weekly “ring shouts” at Place Congo in New Orleans (municipally sanctioned from 1817 to 1856) highlighted the pervasive presence of African and Afro-Caribbean musical sensibilities, also apparent in performances by the black street crier Signor Cornmeal at the St. Charles Theater in 1837, where he alternated with French and Italian opera. Over the course of the nineteenth century in New Orleans, the diversity arising from French, Spanish, and African cultures in the colonial period grew to include European, Caribbean, Latin American, and Asian immigrants, presenting local musicians with a vast array of raw materials from which to draw in making music. By the early twentieth century in New Orleans, an endless succession of public and private social rituals requiring music nurtured this process of music evolution: Carnival, debutante balls, lakefront picnics and lawn parties, train and riverboat excursions, benevolent association parades, church dedications, “naked dances” in Storyville, jitney or taxi dances, and college “script” dances (where subscriptions were sold in advance), vaudeville, sporting events, and funerals. In New Orleans, music and lifestyle were at all times functionally connected. Despite the pall of racial segregation instituted by the state legislature in the 1890s and validated by the US Supreme Court with the “separate but equal” doctrine in the Plessy v. Ferguson decision in 1896, music provided opportunities for people of diverse backgrounds to get together. Much of this activity was made possible by neighborhood settlement patterns that predated segregation. Tremé, the lower French Quarter, and the Seventh Ward (clustered in the downtown area below Canal Street); Central City and the Irish Channel (uptown, above Canal Street); and Algiers (on the West Bank) were all characterized by crazy-quilt settlement patterns, interspersing Creoles, blacks, whites, Jews, Hispanics, and Latinos next door to each other within blocks. 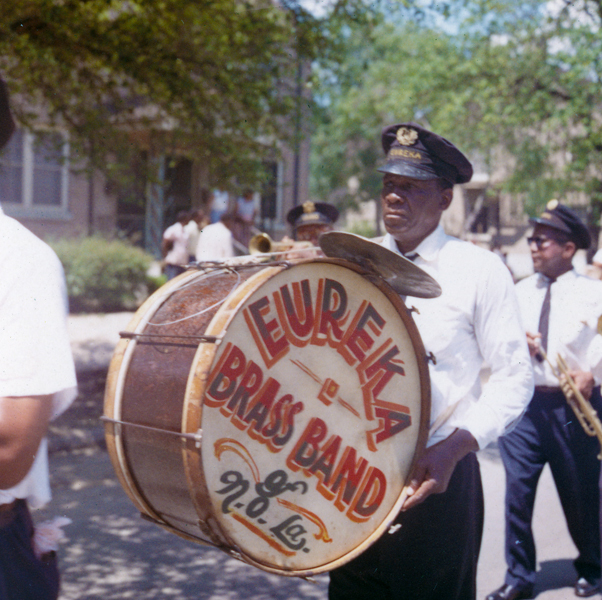 The prevalence of marching bands, jazz bandwagon advertisements, and spasm bands performing in the streets of New Orleans meant that vernacular musical innovations such as jazz were available to everyone within listening range, regardless of laws that attempted to keep black and white cultures mutually exclusive. In the period from 1895 to 1925, most jazz musicians came from these neighborhoods, where the outdoor music was taking place. The “hotter” and more expressive dance music that came to be known as jazz catalyzed the attraction of young people. Thus, this musical style, rooted in the good-time practices of the uptown African American community, spread rapidly throughout the metropolitan area, into the rural hinterland, and across the nation. The conventional wisdom about musical illiteracy as pervasive in early jazz does not accurately describe the variety of skill sets that musicians used to satisfy the demands of diverse clienteles. The trumpeter Louis Armstrong and trombonist Kid Ory both learned to read music when their careers required it; others, like the clarinetist Sidney Bechet, never did. Yet most New Orleans jazz bands drew upon varying skill levels among “readers” (who introduced the latest favorites from scores), “spellers” (who could not sight-read notes but could follow a written chord progression), and “fakers” in order to meet the functional requirements of a competitive market that required flexibility. “Faking” (or playing by ear) often led to further instruction, which could include solfège, musical literacy, theory, and arranging at the hands of teachers like Manuel Perez or Lorenzo Tio Jr.
Because women often received training on piano in church or at home, many were proficient readers, and their appearance in jazz bands throughout the 1920s was largely based on such abilities, along with the desire to dress up bands with an attractive female presence for competitive purposes. Regardless of gender or skill level, however, every musician aspired to create his or her own voice (musical signature), because establishing a reputation as an exciting and singular player was the best way to find employment. Although many early New Orleans jazz bands were pick-up groups composed of hastily recruited musicians, some achieved an identifiable band chemistry with a stable roster of players. In either case, jazz musicians were expected to be conversant with a range of styles and repertoire if they wanted to keep working. Guitar/banjo and piano reinforce the chord progression and rhythm, while also adding fills during breaks and pickups. The string bass accentuates the first and third beats, sometimes shifting to percussive slap-style eighth-note patterns, especially in the “out chorus,” the final measures of the piece, which were performed with extra energy. The introduction of “trap” drum sets in the 1890s was a major technological leap that enabled intensification and consolidation of rhythmic functions. In a traditional rhythm section, the drummer combines syncopated “press rolls”—even, recurring double-beats, 32 to 64 beats to the measure—and backbeats on snare with ground beats on bass drum. Cymbals are used sparingly, generally for crashes on the upbeat during out choruses or choked accents in stop-time breaks. While the instrumentation of a New Orleans jazz ensemble usually ranges from five to seven pieces, in the early years bands were free to experiment with configurations that suited the requirements of the market. In 1899 Henry Peyton’s Accordiana Band sometimes used accordion, cornet, clarinet, and valve trombone; at other times the wind instruments were replaced by strings. In 1913 the Six and Seven-Eighths String Band of New Orleans engaged in collectively improvised polyphony without brass, reeds, and drums. Gilbert Frank was leader of the Peerless Orchestra in 1905, where he played “hot” piccolo, while his brother Alcide, a violinist, led the Golden Rule Orchestra, which contemporaries characterized as “hotter” than the band led by Buddy Bolden, the first cornet king of jazz. Eventually, saxophones entered the New Orleans front line, as seen in photographs of the Fischbein-Williams Syncopators (1923), Sam Morgan’s Jazz Band (1925), Celestin’s Original Tuxedo Jazz Orchestra (1928), and the Jones & Collins Astoria Hot Eight (1929). 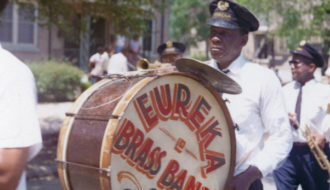 Marching bands that played for second-line dancers in the street, like the Onward Brass Band (a “reading” band that adapted to “faking” around 1905 when jazz became popular) and the Eureka (organized in 1920 as a jazz brass band), usually consisted of ten to twelve instruments: three trumpets, two reeds (originally clarinets; after World War II more likely saxophones), two trombones, brass bass, and snare and bass drummers. What all these bands shared was a style of playing “hot” dance music that suited the demands of a diverse, music-loving clientele, whether in cabarets, at dance halls, on riverboats, or in the streets. Solo improvisation was not common in New Orleans jazz bands until the mid-1920s, as documented on the recordings of the New Orleans Rhythm Kings, King Oliver’s Creole Jazz Band, Clarence Williams’s Blue Five, and Louis Armstrong and his Hot Five. Traditional New Orleans jazz entered the American entertainment mainstream in two ways between 1907 and 1917— through touring and phonograph records. Prior to the first jazz recordings by the Original Dixieland Jazz Band in New York in February 1917, New Orleans musicians had already traveled widely throughout North America. For example, the Creole pianist and composer Jelly Roll Morton left the city in 1907 and remained itinerant for most of his life; the Original Creole Orchestra worked the Pantages vaudeville circuit from 1914 to 1918, including Canada; and Tom Brown’s Band from Dixieland played cabarets and theaters in Chicago and New York in 1915. In 1922, Kid Ory’s Orleans musicians in the Chicago region from 1923 to 1928 that became the basis for widespread recognition of jazz as an American art form. Continuing the pragmatism that had characterized their musical experiments back home, these musicians employed diverse strategies, while also remaining true to the community cultures on which New Orleans-style jazz was based. In 1923, King Oliver’s Creole Jazz Band (featuring Louis Armstrong) relied exclusively on “head” arrangements (tunes worked out in advance and learned by rote) to prepare for its recording sessions, including titles like “Canal Street Blues,” “Snake Rag,” and “New Orleans Stomp.” Beginning in 1925, Louis Armstrong and his Hot Five supplemented the occasional use of sheet music with head arrangements and spontaneous ideas generated in the studio to achieve an identifiable sound, leading to recordings like “Heebie Jeebies” (1926), “Struttin’ with Some Barbecue” (1927), and especially “West End Blues” (1928), which were acclaimed as jazz masterpieces. Jelly Roll Morton’s Red Hot Peppers rehearsed with scores but added improvised passages, insinuating individual voices where Morton wanted them, as heard in “Black Bottom Stomp” (1926), “Jungle Blues” (1927), and “Georgia Swing” (1928). Each group had its own sound, but they were also working together to advance the idiom, especially evident in the transition from collective to solo improvisation driven primarily by Louis Armstrong. Back in New Orleans, recordings made after 1924 by the Halfway House Orchestra, the Original Tuxedo Jazz Orchestra, Sam Morgan’s Jazz Band, the New Orleans Owls, John Hyman’s Bayou Stompers, and the Jones & Collins Astoria Hot Eight illustrated a parallel variegation among bands that did not travel, and none of them sounded like the New Orleans-derived bands in Chicago. By 1930, the multiplicity of musical possibilities inherent in traditional New Orleans jazz as an idiomatic playing style had amply demonstrated the genre’s potential for open-ended artistic expression. Yet, several coinciding factors spelled the end of the line for traditional New Orleans jazz as a force in the entertainment market: the rise of radio and implosion of the phonograph record boom that had sustained many jazz artists throughout the 1920s; the onset of the Great Depression; and the shifting musical fashion apparent in the rise of big bands whose highly arranged scores left no place for the small-band collective improvisation associated with New Orleans. By mid-1931, both Jelly Roll Morton and King Oliver had been dropped by their record labels, and Kid Ory was in retirement. Only Louis Armstrong continued, fronting a big band that bore little resemblance to the New Orleans-style recording units that had made him famous in the previous decade. Despite the trends associated with the swing era (represented by clarinetist Benny Goodman’s rise to stardom in 1935), some New Orleans jazz bands persevered and even flourished during the 1930s. Luis Russell’s Orchestra (made up largely of refugees from King Oliver’s bands) adapted to the new stylistic environment while also retaining a semblance of New Orleans flavor and became successful in New York. The Bob Cats (a New Orleans unit within the Bob Crosby Orchestra) reworked King Oliver specialties like “Riverboat Shuffle” and offered new material such as “Big Noise from Winnetka” (1938) that appealed to Lindy Hoppers enamored with swing. Beginning in 1934, New Orleans trumpeter Louis Prima inaugurated a show business career that included jazz, swing combos, big band, Italian ethnic, and rock-and-roll phases, keeping him in the vanguard of American popular entertainment for nearly four decades. Others were less fortunate: In the mid-1930s both the Original Dixieland Jazz Band and Jelly Roll Morton attempted comebacks using modernized arrangements, but without success. Perhaps the most surprising development of all, however, was the “New Orleans Revival” that attended the publication of the early history Jazzmen (1939) by Frederic Ramsey and Charles Edward Smith. This book sparked a highly publicized resurrection of the careers of cornetist Bunk Johnson and trombonistKin the 1940s, conceived as an antidote to the rise of bebop and modern jazz in the World War II period. 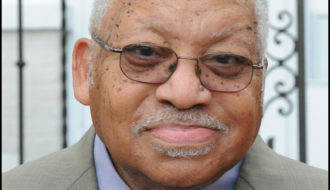 The revival brought previously unknown musicians (particularly the clarinetist George Lewis) to public attention and led directly to the establishment of Preservation Hall in 1961, based on the belief that traditional New Orleans jazz was noncommercial, community-based music that should be protected from the machinations of the music industry. Ironically, selling “authentic” jazz to tourists (supported by aggressive international touring) became the key to success for the musicians affiliated with Preservation Hall, but most of them were less concerned with concepts of authenticity than they were with finding employment. Although Traditional New Orleans Jazz came very close to extinction during the 1930s, it found ways to survive through experimentation and reinvention. 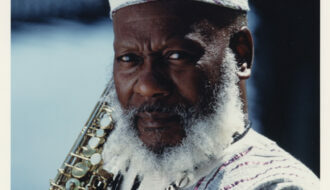 After World War II, a new generation of local musicians interested in modern jazz, including drummers Earl Palmer, Ed Blackwell, and James Black; pianists Ellis Marsalis and Ed Frank; and saxophonists Alvin “Red” Tyler, Nat Perriliat, Harold Battiste, and Edward “Kidd” Jordan, showed that there was room for multiple styles within the New Orleans jazz continuum. This trend continues as the tradition finds new ways to reinvent itself. More recently, the most vital segment of the jazz community has been the new wave of brass bands emerging in the wake of guitarist/banjoist Danny Barker’s Fairview Baptist Church Christian Band experiments in the 1970s, including the Dirty Dozen, the ReBirth, the Hot Eight, and the Pinettes (an all-female group), whose imaginative inclusion of bebop and hip-hop into street repertoire enhances the tradition. In New Orleans jazz, tradition and innovation will always find the means to coexist, reflecting shifting realities that force musicians to become masters of innovation and adaptation, just like when the music was young. Raeburn, Bruce "Traditional New Orleans Jazz." In https://64parishes.org Encyclopedia of Louisiana, edited by David Johnson. Louisiana Endowment for the Humanities, 2010–. Article published April 20, 2016. https://64parishes.org/entry/traditional-new-orleans-jazz. Bechet, Sidney, with Joan Reid, John Ciardi, and Desmond Flower. Treat It Gentle. New York: Hill & Wang, 1960. Brothers, Thomas. Louis Armstrong’s New Orleans. New York: W. W. Norton, 2006. Brunn, H. O. The Story of the Original Dixieland Jazz Band. Baton Rouge: Louisiana State University Press, 1960. Chilton, John. Sidney Bechet: The Wizard of Jazz. London: Macmillan Press, 1987. Fiehrer, Thomas. “From Quadrille to Stomp: The Creole Origins of Jazz.” Popular Music 10, 1 (1991): 21–38. Gushee, Lawrence. “The Nineteenth-Century Origins of Jazz.” Black Music Research Journal 14, 1 (1994): 1–24. Gushee, Lawrence. Pioneers of Jazz: The Story of the Creole Jazz Band. New York and London: Oxford University Press, 2005. Johnson, Jerah. “New Orleans’s Congo Square: An Urban Setting for Early African American Culture Formation.” Louisiana History 32, 2 (1991): 117–157. Kinzer, Charles E. “The Tios of New Orleans and Their Pedagogical Influence on the Early Jazz Clarinet Style.” Black Music Research Journal 16, 2 (1996): 279–303. Kmen, Henry. Music in New Orleans: The Formative Years, 1791–1841. Baton Rouge: Louisiana State University Press, 1966. Manone, Wingy, with Paul Vandervoort, II. Trumpet on the Wing. Garden City, NJ: Doubleday & Company, 1948. Marquis, Donald M. In Search of Buddy Bolden: First Man of Jazz. Baton Rouge: Louisiana State University Press, 1978. Raeburn, Bruce Boyd. “King Oliver, Jelly Roll Morton, and Sidney Bechet: Ménage à Trois, New Orleans Style.” In The Oxford Companion to Jazz, edited by Bill Kirchner, 88–101. New York and London: Oxford University Press, 2000. Raeburn, Bruce Boyd. “Early New Orleans Jazz in Theaters.” Louisiana History 43, 1 (2002): 41–52. Raeburn, Bruce Boyd. New Orleans Style and the Writing of American Jazz History. Ann Arbor: University of Michigan Press, 2009. Rose, Al, and Edmond Souchon. New Orleans Jazz: A Family Album. 3rd ed. Baton Rouge: Louisiana State University Press, 1986. Russell, William, with Barry Martyn and Mike Hazeldine. New Orleans Style. New Orleans: Jazzology Press, 1994. Smith, Charles Edward, and William Russell.The Jazz Record Book. New York: Smith & Durrell, 1942. Sudhalter, Richard. Lost Chords: White Musicians and Their Contribution to Jazz, 1915–1945. New York and London: Oxford University Press, 1999. White, Michael G. “The New Orleans Brass Band: A Cultural Tradition.” In The Triumph of the Soul: Cultural and Psychological Aspects of African American Music, edited by Ferdinand Jones and Arthur C. Jones, 69–96. Westport, CT: Praeger, 2001.